Goodreads says, "Tim Macbeth is a 17-year-old albino and a recent transfer to the prestigious Irving School, where the motto is, “Enter here to be and find a friend.” Tim does not expect to find a friend; all he really wants to do is escape his senior year unnoticed. Despite his efforts to blend into the background, he finds himself falling for the quintessential “it” girl, Vanessa Sheller, girlfriend of Irving’s most popular boy. To Tim’s surprise, Vanessa is into him, too, and she can kiss her social status goodbye if anyone finds out. Tim and Vanessa enter into a clandestine relationship, but looming over them is the Tragedy Paper, Irving’s version of a senior year thesis, assigned by the school’s least forgiving teacher. The story unfolds from two alternating viewpoints: Tim, the tragic, love-struck figure, and Duncan, a current senior, who uncovers the truth behind Tim and Vanessa’s story and will consequently produce the greatest Tragedy Paper in Irving’s history." Tim Macbeth is a bright teenager who has a lot going for him, except for the fact that socially he feels he doesn't fit in since he is an albino. His stepfather, an Irving School alumni, tells Tim that he would fit in at Irving School and convinces him to attend for his senior year since he isn't happy at his current school. This works well for Tim's family since his parents are in the process of moving. On his way to Irving School in New York, Tim finds himself practically stranded at the airport due to snow; thankfully, his mom and stepdad, whose business deals with travel, obtains one of the last hotel rooms. At the airport, he forms a connection with a beautiful girl named Vanessa, who is also traveling to Irving School. They share an innocent night in Tim's hotel room and a friendship blossoms, but for Tim, it was something more. While at Irving School, Tim is starting to get acclimated, but finds himself thinking constantly of Vanessa and their 18 hours together. There's a problem with this though. Tim is the "new guy" at school whereas Vanessa is part of the "cool" crowd and is dating the most popular guy at school. To Tim's surprise, Vanessa still wants to hangout with Tim, on her terms though. The Tragedy Paper is told from Tim's point of view as well as Duncan, a current senior, who is living in Tim's old room at Irving. Duncan is captivated by the tale of Vanessa and Tim as well as their connection to an epic tragedy paper, or senior thesis, all Irving students must write. Elizabeth LaBan's The Tragedy Paper is a serious read that will evoke many emotions in its readers. 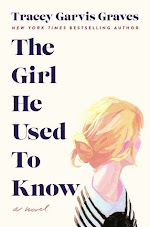 There's love, loss, friendship, disappointment, and that addicting first taste of young love. The Tragedy Paper isn't a read that I would normally gravitate to, but I am glad that I did. Tim isn't the usual kind of protagonist that I connect with, but I liked him. He reminded me of many of the underdog protagonists in classic literature; in fact, The Tragedy Paper is reminiscent of Dead Poet's Society, one of my favorite movies. On the other hand, Vanessa drove me nuts. She's the type of character I just love to hate. She uses boys on her own terms and she can't stand up to her super popular and egocentric boyfriend. I hated the fact that she would, at times, use Tim, but LaBan did a really good job portraying the popular girl trying to navigate her way through a relationship/friendship with someone not in her social circle. One of my favorite aspects of The Tragedy Paper is the fact that the students would have to write this tragedy paper, or senior thesis, for their English teacher. Since I am an English teacher, I could connect with this immediately and loved their classroom discussions of what makes something a tragedy, etc. The English teacher reminded me so much of Robin Williams in Dead Poet's Society. He was one of my favorite characters. I also enjoyed how Duncan would listen to Tim's story though the CDs that he left him. I, along with Duncan, was glued to Vanessa and Tim's story. I knew things weren't going to end well, and I could see it coming as many events were very predictable, but I just had to know how their story would come to a close. Since the point of view alternated between Duncan and Tim, I found myself being a bit distracted by this as I wanted more of Tim and Vanessa and less of Duncan. However, as the story progressed, I realized that Duncan played more of a role in The Tragedy Paper than I initially thought. Duncan isn't just merely a listener of Tim's tale, but rather a participant towards the end. LaBan does a stellar job making this story dramatic, tragic, and heartfelt. 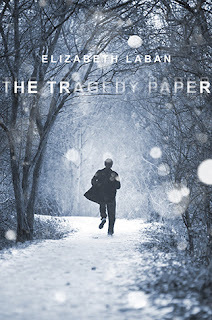 If you are looking for a dramatic read that has a mystery, first love (without a lot of romance), and some lingering sadness, then check out Elizabeth LaBan's The Tragedy Paper, especially if you are a fan of serious contemporary reads. Me too, especially the font! I reviewed this today too! Agree, more Tim and less Duncan would have made me happier. And I was not a Vanessa fan, but I just accepted the fact that Tim liked her for reasons I could never fathom. I really enjoyed this one -- a great change of pace! 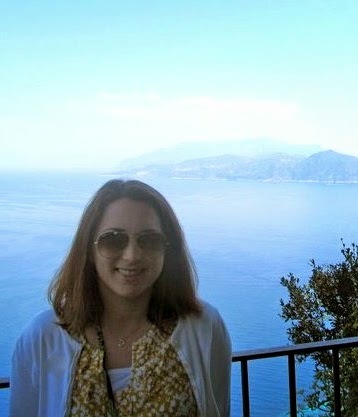 Jen- Thanks for dropping by. I checked out your review as well. I'm glad we both enjoyed it! Hmmmm this sounds really great, but you know I live for romance Christina, so I would probably be a touch disappointed in that aspect. Then again, I just need to remind myself that not every book is written as a romance and I need to get over it and love it for what it is:) Fabulous review! I'm really interested in this one and I hope to get reading it soon. I love that you compare it to Dead Poet's Society, because I absolutely love that movie as well. I am a little nervous now that Duncan takes over too much, oh well we will see. Thanks for the great review, I am definitely excited for this now. Me too! Love that movie! :) I hope you get to read it soon. Thanks for stopping by! Me too! I love that movie. Thanks for visiting! I enjoyed this one but I expected something a little more - especially where the ending was concerned. Still a good read, though! I love Dead Poet's Society so I am definitely interested in this book. I also like that there is a little bit of mystery to it because it totally has that vibe from the cover. This sounds like a fascinating story (as does the movie Dead Poet's Society - I'll have to rent that one). Great review, Christina! Just finished this one and really enjoyed it! I'm with you: though I liked Duncan, I was glued to Tim and Vanessa's story and could have stood a little less of him at points, haha... only because I was so invested in the parallel narrative. It was a very engaging read, that's for sure -- and a memorable one!